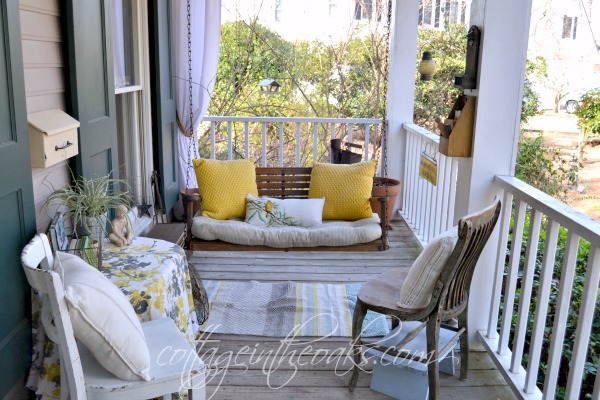 I hope you had a wonderful weekend and you are ready now to enjoy another Tuesdays at Our Home link party. for the upcoming Easter holiday. Lets take a look at some of last week features. Jenn at Clean & Scentsible shared her beautifully decorated Easter dining room. 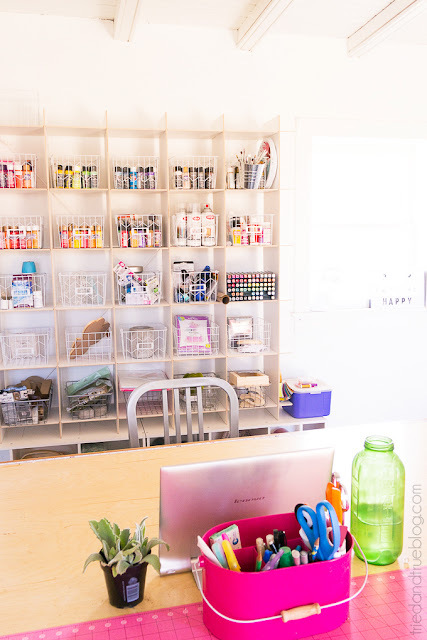 Vanessa at Tried & True showed us how she organized her gorgeous craft room. 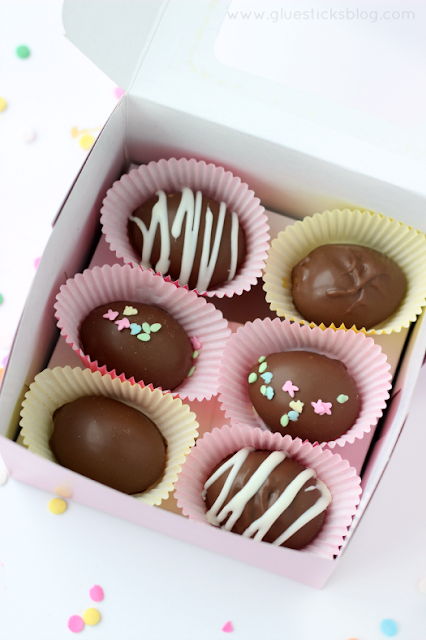 Brandy at Gluesticks shared a wonderful recipe and tutorial on how to make chocolate Easter eggs. 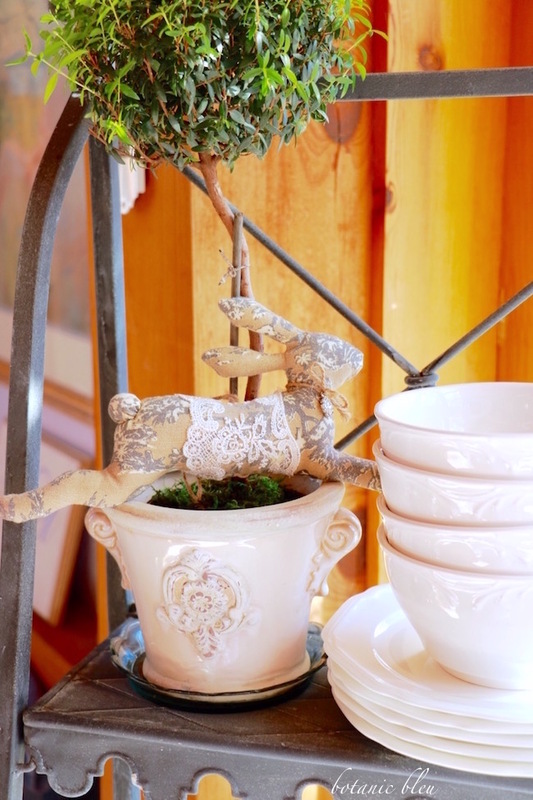 I just love how Pinky at Designs by Pinky decorated her mantle for Spring. 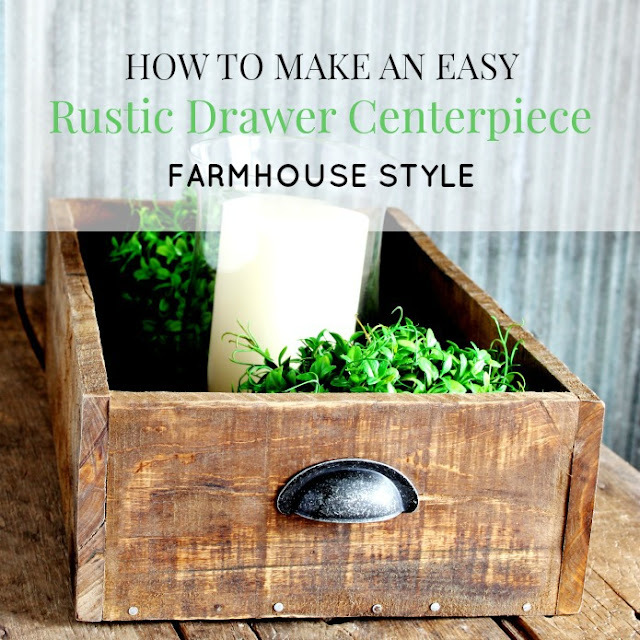 Angie at Knick Of Time shared a wonderful tutorial on how to make a rustic wooden drawer tray out of pallet wood. 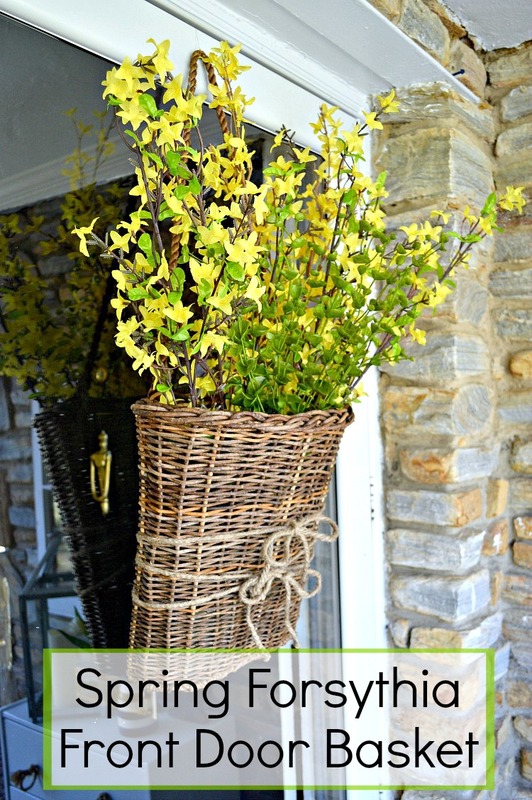 Kristi at Chatfield Court showed how to make a beautiful Spring front door basket. before we start the party today. 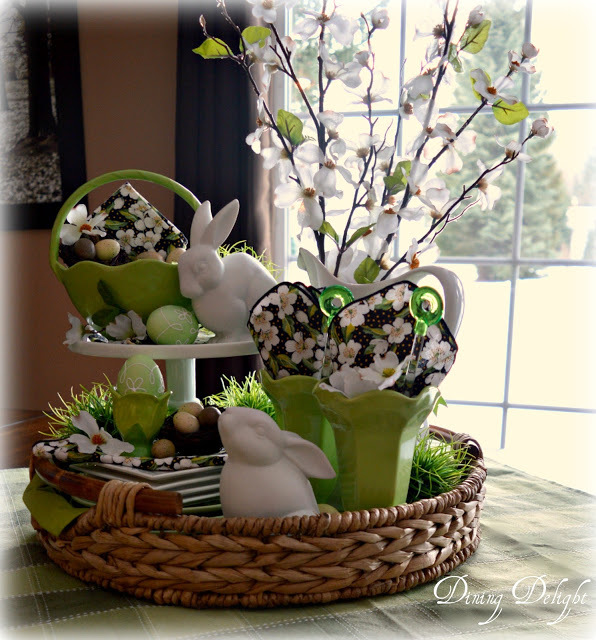 Lori at Dining Delights showed us how to create beautiful seasonal displays in a tray. Sandy at Sandy a la Mode revealed the new bedroom she created for her little girl. Precious! Daune at Cottage in the Oaks gave us a tour of her gorgeous Spring decorated home. Laura at The Turquoise Home decorated her mantle for Spring beautifully. 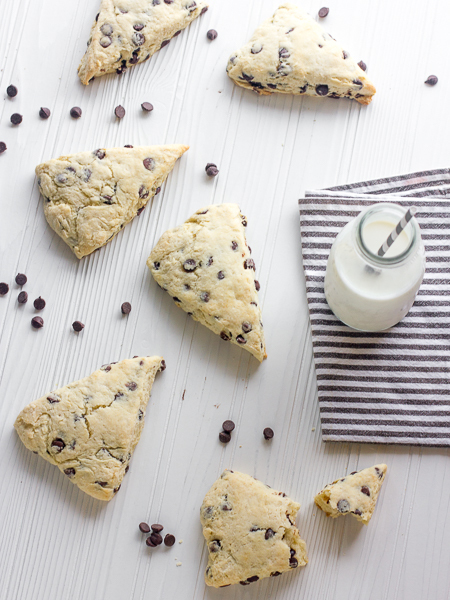 Steve at The Black Peppercorn shared a great recipe and tutorial on how to make Chocolate Chip Scones. 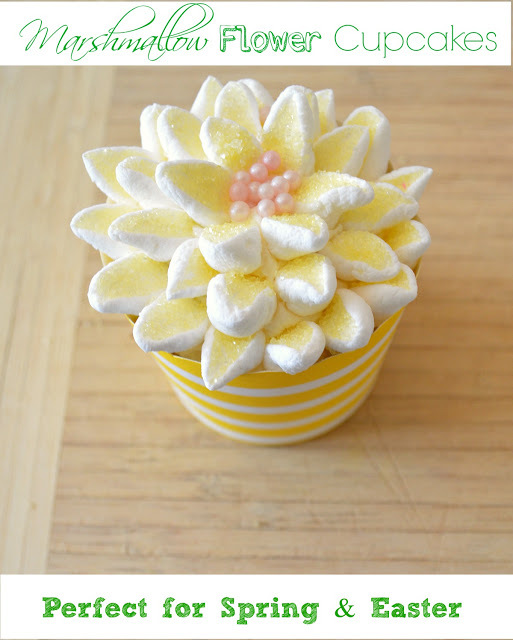 Janet at Rosemary and Thyme taught us how to make Marshmallow Flower Cupcakes. there is really no other rules to join, I would love if you start following my blog. 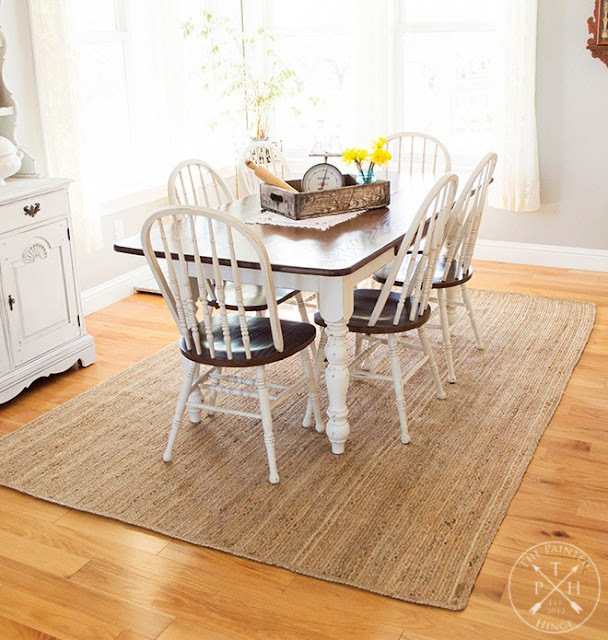 Michelle at The Painted Hinge gave her farmhouse dining room table and chairs a gorgeous makeover. 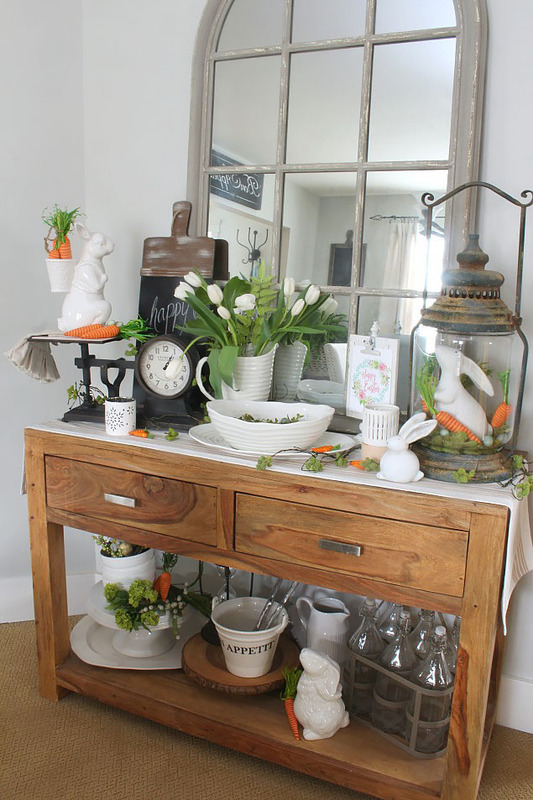 Judith at Botanic Bleu transformed her plant stand into a beautiful plate stand for Spring. 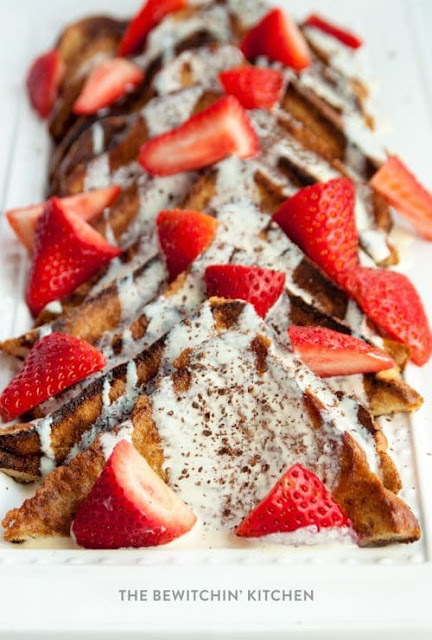 Randa at The Bewitchin Kitchen shared an amazing recipe for white chocolate french toast. 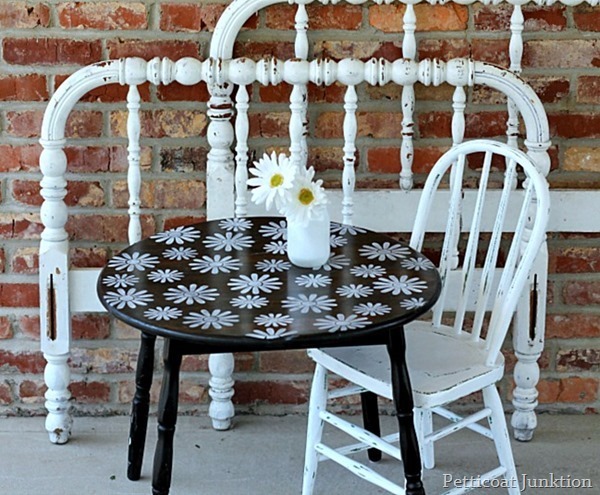 Kathy at Petticoat Junktion beautifully remade her granddaughter's table and chair. Love this project! 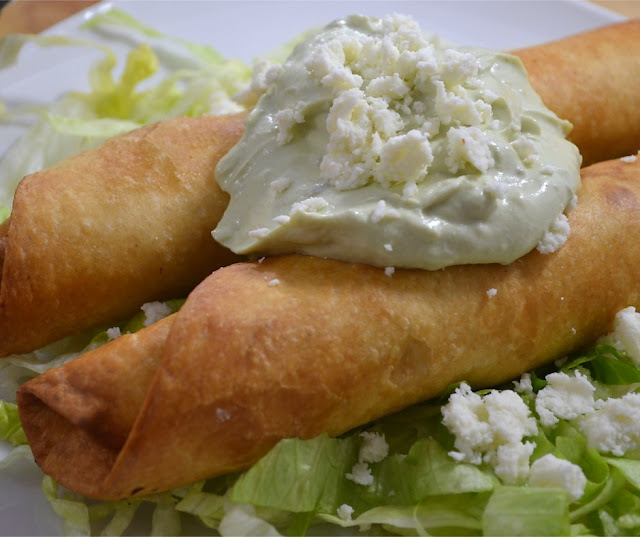 Robin at Fluster Buster made delicious Pollo Asado Flautas. 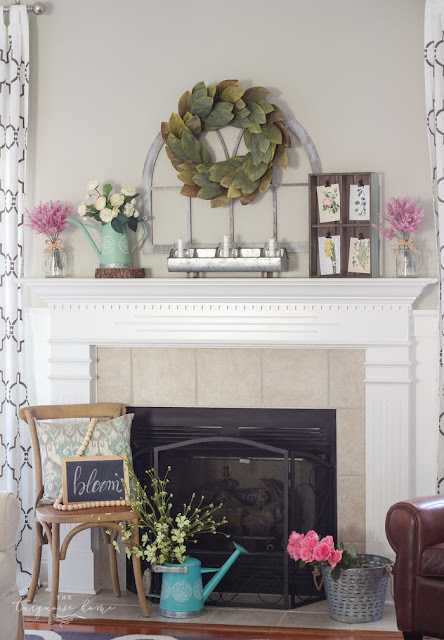 Amy at My Life From Home made a beautiful bird's nest wreath for her spring mantle. But caring for our son and making sure he gets the proper medical care has been my first priority. some small changes here and there to our home. you see when you walk into our home. 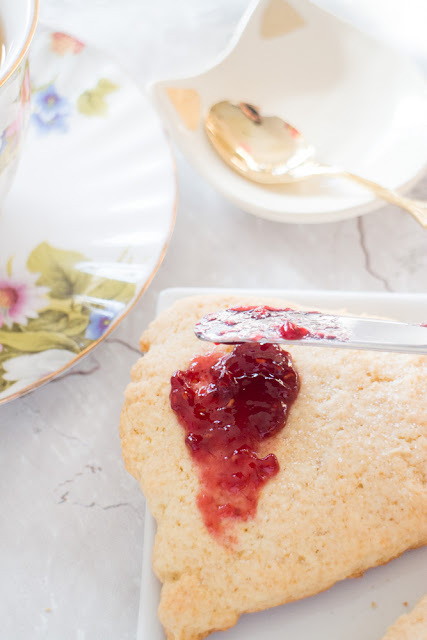 Thank you all for coming to my little blog to party again this week. I really appreciate it. The last link party was full of amazing posts! Lets visit some of them. 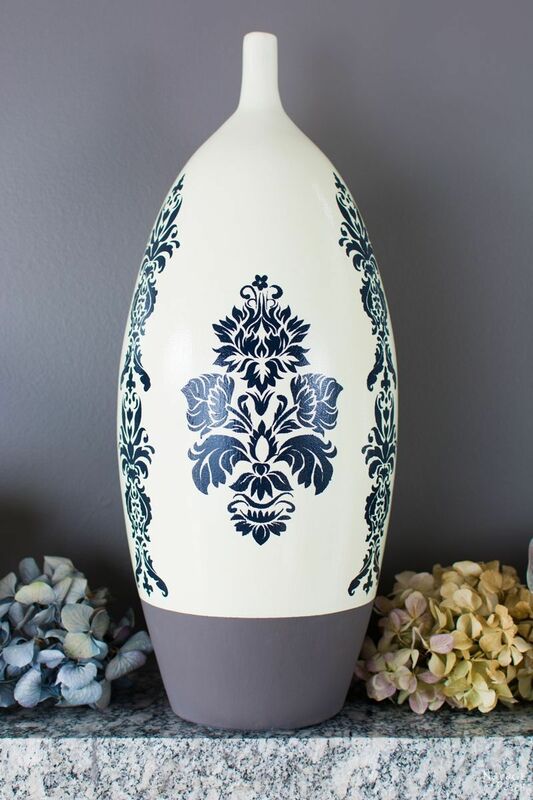 Handan at The Navage Patch gave a ceramic vase a gorgeous makeover. 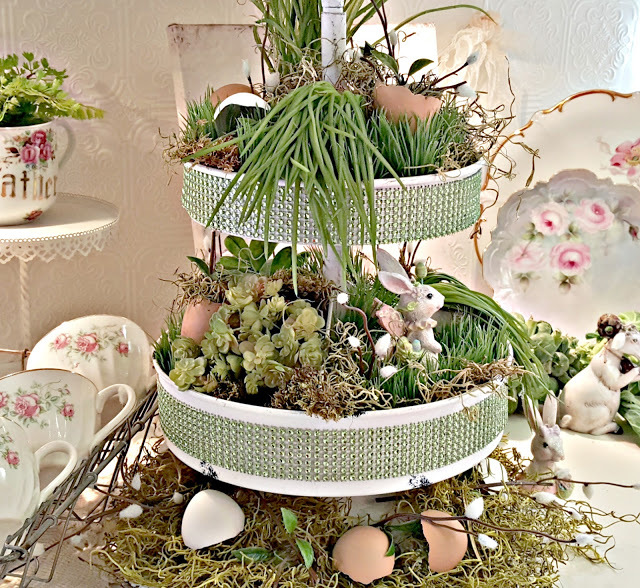 Penny at Penny's Vintage Home showed us how to beautifully style a tiered stand for Spring. 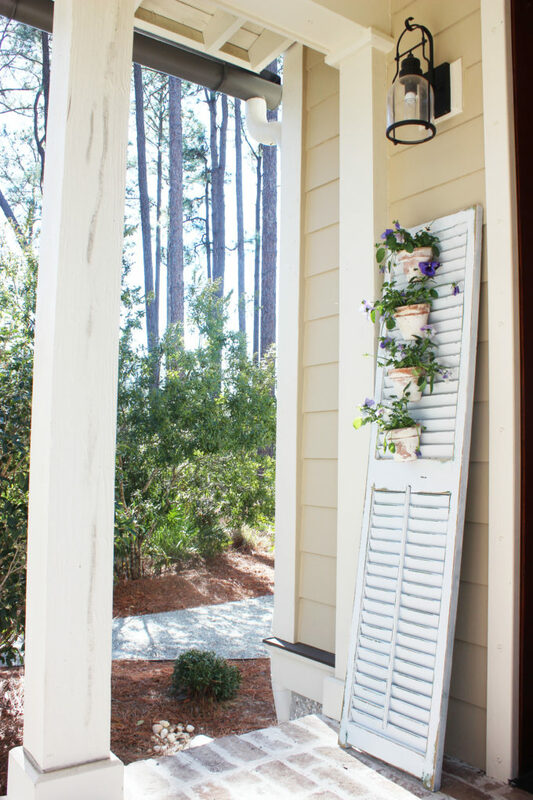 Maria at Simple Nature Decor made a beautiful Tuscan shutter garden. Pamela at Brooklyn Farm Girl shared a great recipe for homemade plain sconces. 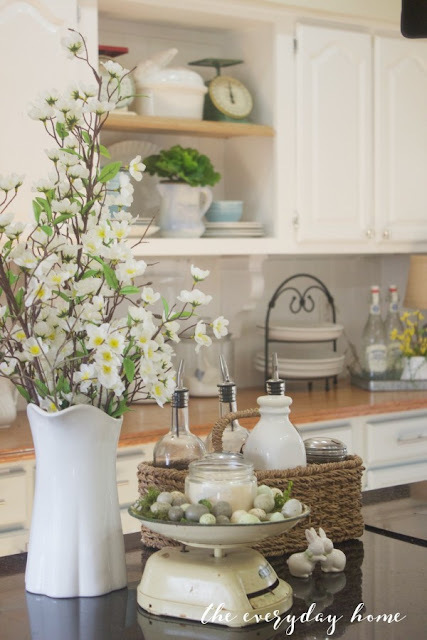 Barb at The Everyday Home gave us a tour of her gorgeous farmhouse kitchen decorated for Spring. 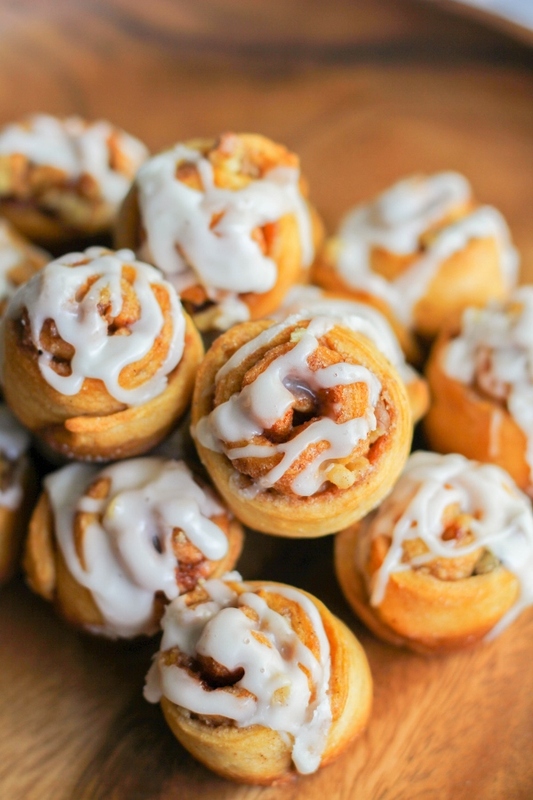 Sarah at The Chef Next Door shared a wonderful recipe for mini walnut cinnamon buns. 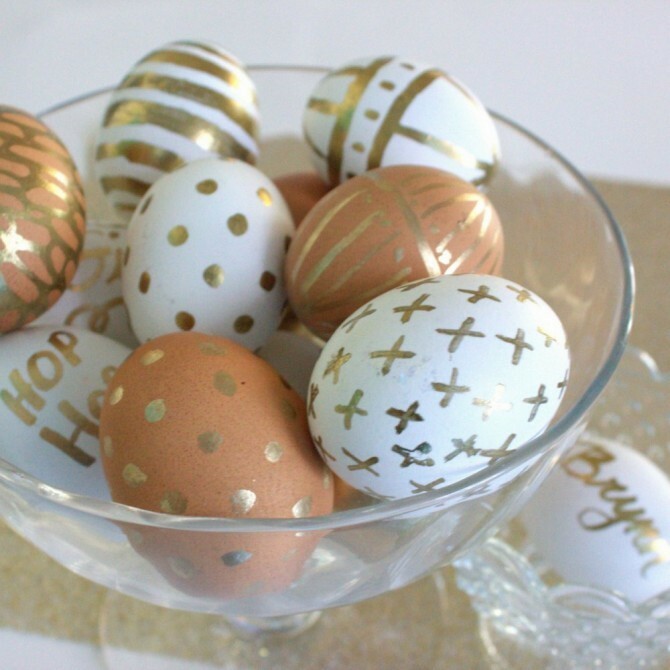 Maria at Tinselbox showed us some different beautiful ways to decorate Easter eggs.